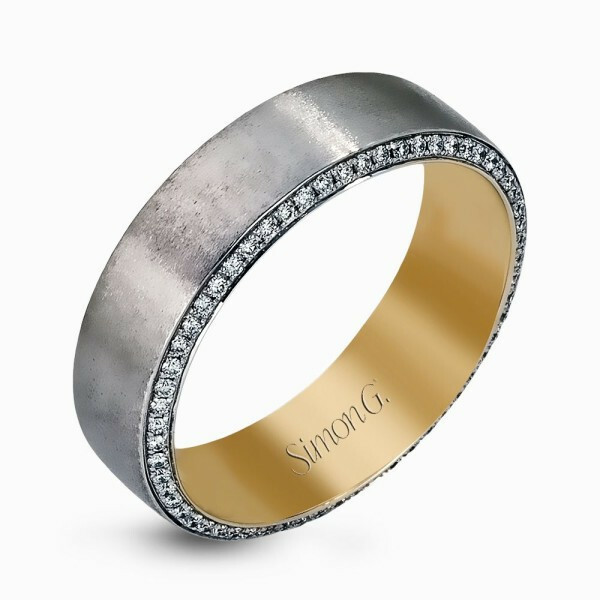 This two-tone gold and diamond men's wedding band from Simon G. is as attractive on the inside as it is on the outside! 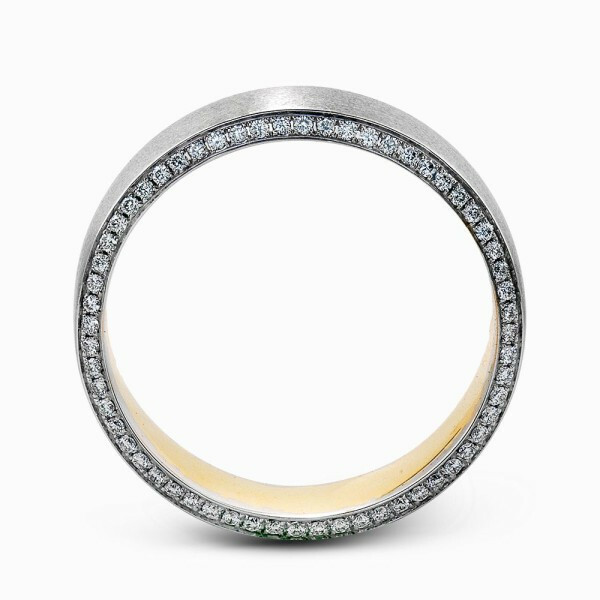 Crafted in 14kt gold, the piece features a white gold exterior, yellow gold interior and diamond accented profile. 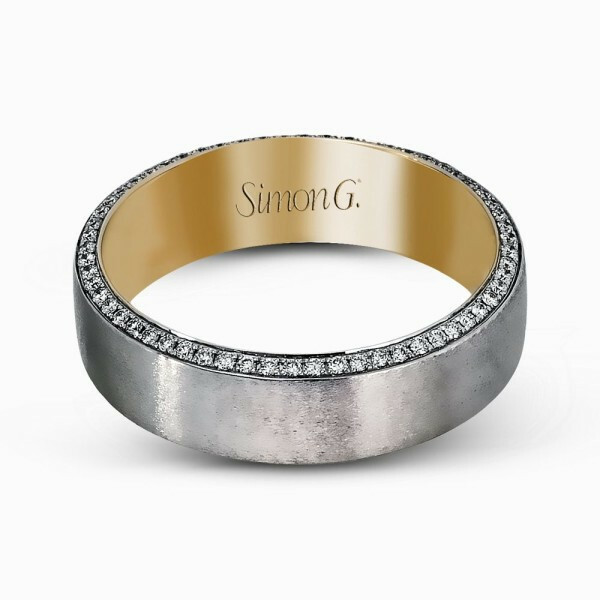 Any way you look at this Simon G. men's wedding band, it has the wow factor!